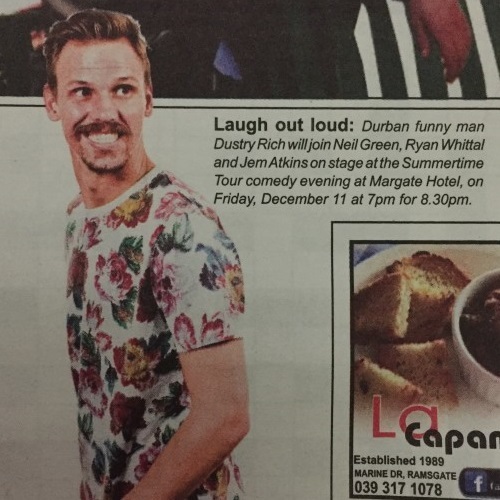 It’s not often that the South Coast manages to get onto the roster of one of South Africa’s biggest comedy tours, but this December this premium event will be hosted by Margate Hotel. The event promises to have you on the floor in stitches for launching so hard. The show is just around the corner, so make sure you have your tickets booked as seats are filling fast.